So much have been said about search engine optimization but often times little is said about “Anchor Text”. Are you surprised I brought it up? Some will even wonder if it mattered at all. 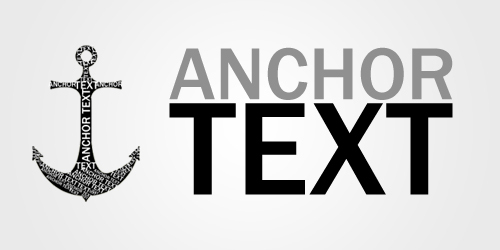 That is exactly the essence of this article to teach you what anchor text is all about, its importance in SEO, anchor text best practices and how you can improve your blog’s SEO with anchor text. In the example above, “Click here” is an anchor text. Anchor text is the text used in the link to another webpage/website. Search engines use this text to determine the subject matter of the page it is linked to. Search engines gather data by crawling around the web moving from one link to another, so anchor texts give them idea of what the pages they are about to visit is all about. If several blogs link to a site with “mobile app development company” as their anchor text, this will give the search engine an insight into the kind of content they will meet on such site. Just like I said above, Anchor text tells search engines what to expect when they follow a link and not so many people know that Google and other search engines use anchor texts to determine the relevancy of your content based on the sites linking to you. Link relevancy is one of the search engine ranking metrics and this is determined by the content of the web page and the anchor text. There are two ways one can use links in a site – Internal and External links. Internal links are those links that point to another web page(s) of the same site while external links are links that point to a different website entirely. In SEO, both internal and external links are important because they create a unique kind of navigation within and outside a website and search engines love them. But how you link to this pages matter as search engines will use it to determine the content of such pages. Most bloggers make one unique mistake in using anchor links. Often times words link “Click here” are used as anchor links just link in the example above, other words are pages, posts, article etc. This is bad SEO practice and I think by now you already know why. Avoid using anchor texts link “page”, “article”, “click here” etc as these words do not give search engines any idea of what the web page they are about to visit is all about and this also affects your link relevancy and thus your search engine ranking. Do not also use anchor text that does not relate with content of the page being linked to. A page can’t be talking about “Cars” while you are using “food” to link to it. Google and other search engines are beginning to clamp down on over-optimized anchor text sites. So if you are trying to get as much links as possible with same anchor text, be careful not to incur the wrath of Google and others. To avoid getting penalized for over-optimized anchor text, attract links from variety of sources with varied anchor texts. Remember search engines consider the ratio of your external linked pages to your internal linked pages, so try and link to sites with good content and traffic, link within your own sites but do not over do it. Do not buy links and above all do not over-optimize your links with one anchor text. If a web page is linked to with the right keywords in the anchor text, such web page has a good chance of ranking high in search engines. Always ensure to add the keyword you want to rank for in your anchor text. Link to relevant pages within your site in your articles just like I do on this blog, this will help search engines determine the content of the page in relevance to its anchor text and this will improve your search engine rankings. This will greatly boost the SEO of your entire site and help both the visitors and search engines determine what the linked page is all about. Remember that Google and other search engines only consider only the anchor text used in the first link when two links or more are targeting same URL in a web page, so choose your anchor text carefully and improve your site SEO. Do I need to tell you that improved SEO = Higher search engine ranking = Higher organic traffic = the more $$$$ you make from your site? If you have any contribution or question to ask about anchor texts, use the comment section below. If you have not subscribed to my RSS feed, please do so today so you can receive my posts right on your inbox. Smart and solid tips Nwosu. Think like Google. Or think how you search. After running a search you expect authority sources to pop up. Wikipedia or top blogs or sites in the niche. Does your blog come even remotely close to this category? It can on some levels if your anchor text is varied and points to relevant, authority content sources. Developing this level of linking takes discipline. First you must create the helpful content and second you must link up responsibly. Relevance counts heavily but the quality of the link page counts even more. yes, you are right anchor text is main factor for SEO.! thanks for informative post and writing too. Thanks Ryan for such a wonderful contribution. I hope you can go back now and correct them as this will be very helpful in improving your site’s search engine ranking. Thanks Mosam for your comment, do have a great day. Thanks for the share! I have never thought that this thing would also matter. Great job. Thanks again ! Needful post for the bloggers. Yeah, i know about Anchor text links and its importance. Never use the words “Click here”. i used to give perfect internal links with proper Anchor text and same for the external links with nofollow. I suggest that the bloggers should read this informative post to use the Anchor text perfectly in thier blog posts and to get good SERP. It is a correct suggestion, search engines determine the link relevancy through anchor text, but now after the recent algorithm updates, it would be dangerous to suggest somebody to use anchor text for every incoming links and avoid using generic words like ‘click here’, ‘page’, ‘article’ and so on. Now is the time to try to make everything as much natural as possible. It is never natural to have majority of links with good anchor texts, but in fact the opposite, unless you are not intervening the ‘natural process’. So, the safer suggestion will be to use mix of all sort of anchor texts. Thanks Amrish for your wonderful contribution. Thanks for your comment, do visit again soon. Thanks Nirmala for your wonderful contribution, hope you visit again soon. Just like i suggested in the article to use variety of anchor texts in link building. Thanks for your wonderful contribution. Over optimization of anchor text is one of the main reasons for attracting Google Penguin penalty at present. we need to take care to avoid doing so. The problem is that most people dont know what is anchor text and how they can avoid over optimizing it. Thanks for sharing this wonderful information. I am sure many new bloggers who dont know about over optimization will find it useful. Thanks Ambika for your wonderful comment. Thanks Rahul for visiting and leaving a comment. I hope you visit again. i hope the tutorial has highlighted all the important things to know about anchor text. That was real informative post Nwosu. Anchor text plays a big role in search engine optimization and you’ve explained everything about it so nicely that I won’t hesitate to share it with my readers too. Thanks Pawan i hope you find more posts interesting in my blog. This is one of the greatest mistake many blogger do most, especially the newbie bloggers who does not really understood what anchor text really mean, and how important it is to search engine optimization. Thanks for sharing this great post, it is really an eye opener on what to do when anchoring blog text from one page to another. Thanks Adesanmi Adedotun glad you found this post useful. Hey Nwosu Mavtrevor! Thanks so much for your posts. I so far didnot engage in anchor text SEO strategy yet but after reading this post I really thinks that I should give it a try. You definitely have to if you want to see an improvement in your site’s SEO. I personally give equal importance to anchor texts during the process of making my articles or any content SEO proof. Thanks a lot for sharing such a detailed explanation regarding the same. Thanks Charmie for your awesome contribution, do visit again.